Beer & Bread (Saccharomyces cerevisiae) under a microscope! Come and get it! This microbe is a baker, and a brewer -- and a scientist to boot. Pretty amazing! Learn about the secrets to its success. Great gift for beer enthusiasts -- and bakers! FACTS: For at least six thousand years, Saccharomyces cerevisiae has been used to make beer and bread! (It is also one of the many varieties of yeast used to make wine.) Its Latin name means “sugar fungus of the beer” – though it is widely used in biomedical research as well because it is inexpensive and grows quickly. 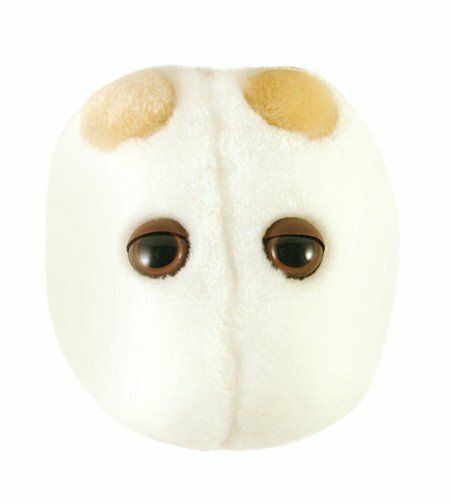 Yeast cells divide every 90 minutes, so one cell can become 50,000 in less than a day. One droplet can contain 5,000,000 cells! Yeast contains special enzymes that turn sugar molecules into carbon dioxide and alcohol. ("En zume" means "in yeast" in Greek.) The carbon dioxide gas makes bread rise and causes the bubbles in beer. The alcohol makes, well, the alcohol. In bread, the alcohol evaporates. But in beer and wine, the alcohol level increases until the yeast perishes (which is why the alcohol percentage level in non-distilled beverages is limited to the mid-teens). So how did humanity discover the secrets of yeast so many millennia ago? The air is filled with tiny wild yeast spores. At some point, one must have floated down and settled on a baker's dough or a jug of juice and the magical effects of yeast were revealed! 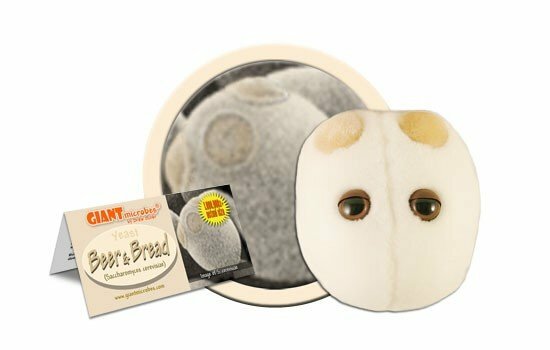 Not only does this yeast play an important role in food production, it possesses certain genes that have led to discoveries in fighting cancer! This yeast got its name from its eating habits. It digests the sugars in flour and other carbohydrates. Saccharomyces literally means sugar fungus. About 0.7 micrometers, or 10 thousand times smaller than a pea! Saccharomyces cervisiae is a fungus known as Baker’s & Brewer’s yeast because it’s used to make bread and ferment alcoholic beverages, like beer and wine. It’s arguably the most important yeast in the world and is naturally found growing on the skins of grapes and other fruits. Historical evidence indicates that it was first used in bread-making and fermentation by the Egyptians over 5000 years ago. The organism wasn’t identified until several millennia later, when Louis Pasteur first isolated and cultured it in 1859. 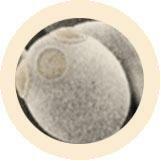 In 1996, S. cerevisiae was the first eukaryotic organism to have its genome completely sequenced. Historically, households used to store bread dough to keep this yeast alive and available. Today, it can be purchased in packets in virtually any grocery store!